Consistently friendly and efficient service - highly recommend. Mari did my daughters hair and it looks amazing, so natural. If I could give more than 5 stars I certainly would. The way Marie styles my hair she makes me look like a Celebrity!! The compliments I get evidences my comment. Wow, thank you Marie for working your magic today. I always have such a wonderful time in Fake It, the girls are an amazing team and although they are all insanely busy they never act in the slightest stressed. A constant top up of hot drinks, I even got a slice of cake today as it was Josie's birthday. To find a hairdressers that actually listen to exactly what you want and make you feel very special. Can’t wait to see you all next month. Wouldn’t go any where else to get my nails done. Team are always friendly and welcoming. Quick but detailed. Such a lovely atmosphere with really nice and welcoming staff. Really pleased with the result and the advice given to me for the upkeep of my hair. Would always recommend! Fake it is continuously excellent. Really great service, staff and atmosphere. I would recommend them to everyone. My 3 year old daughter and her friend came in today to get their nails painted and they had the most wonderful time! 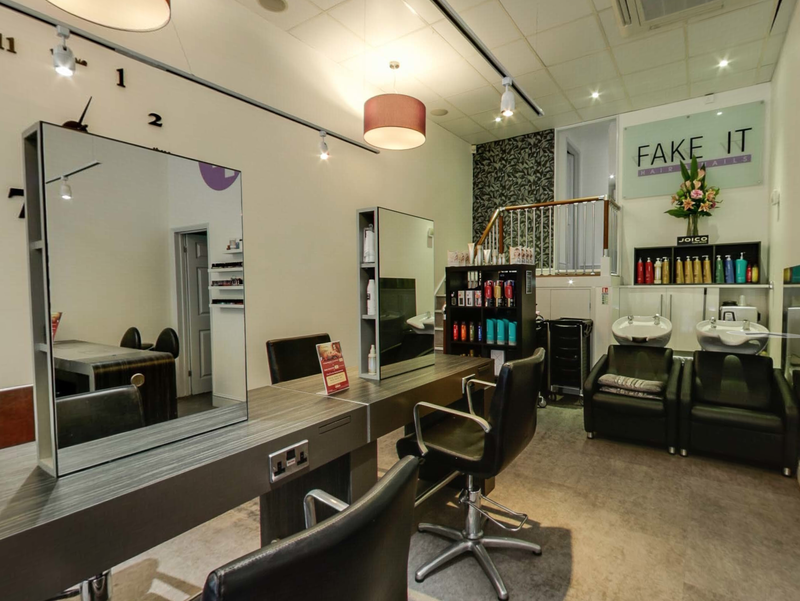 Everyone working in Fake It is kind, professional and always incredibly accommodating. I bring my children in for regular hair cuts and the service is always fantastic. Thank you for giving my little girl such a lovely time!